On one hand the author was a renowned journalist on the other hand was a famous writer. Besides journalism, Nimai Bhattacharya has written at least three dozen books. His written books are very rich and varied in terms of literature. The renowned man has spent his childhood and many years of adolescent in Jessore. To remember him, only one novel is enough- that's "Memsaheb". For this novel, he will be remembered to young people of Bengal. 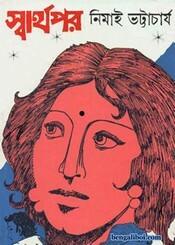 Now I want to share an another famous novel of this author- 'Swarthapor' as pdf file. The ebook pdf has 123 pages, 7mb file size.